That’s where the problem is. People are expecting a significant boost in their luck after a small (or big) change in feng shui. Sometimes, they are expecting their luck to take a big turn in the next 24 hours. If you have those expectations, I hate to break it to you. It doesn’t work like that. Feng shui does not perform miracles. Nor does it work like magic. Con-artists have used these misplaced expectations to abuse the feng shui practice. The tactics they employ are no different than the get-rich quick scheme that are so common these days. This is the reason why feng shui sometimes get a bad reputation. Further, this serves as the basis for “disbelievers” to discredit the application of feng shui. After all, how can simple arrangements in furniture change a person’s luck? How can sleeping towards one direction improve your luck? 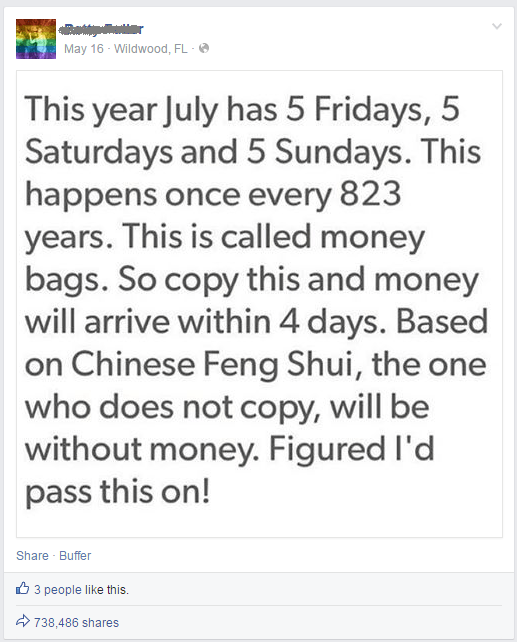 Sharing a message on Facebook has nothing to do with luck and feng shui. What I’ve noticed is that the use of the word “luck” in the context of feng shui is a direct but misleading translation from the Chinese language. The real meaning got lost in translation. In this post, I want to clarify the meaning of luck, so you can have proper expectations from feng shui. To begin, let me give you some cultural background for this term. Feng shui originated in China, so let’s see how this term is used there. Just so you know, I lived in Taiwan (Republic of China) for 18 years, so I think I have a good understanding of what “luck” signifies in the context of feng shui. Before I get into the details, let me give you a little background about the perspective of life from the Chinese culture and how luck fits into it. Fate. Perhaps fate is not the best word, but it describes the pre-determined events that are completely beyond our control. For instance, you have absolutely no control over where, when, and which family you were born into. Luck. This is what this blog post is about. It determines how the events of your life unfold. There will be periods of time where luck is on your side, and the events happening around you are for your benefit. Other times, you may experience events that may give you constant headaches, worries, and distractions that can carry over to other aspects of your life. Feng Shui. This is the third biggest influence on your life. The feng shui of the house greatly influences the mental and physical health of you and your family members. A home with good feng shui relaxes and nurtures your soul and takes away your worries and distractions. Feng shui has the ability to affect your luck, but has absolutely no influence on your fate. 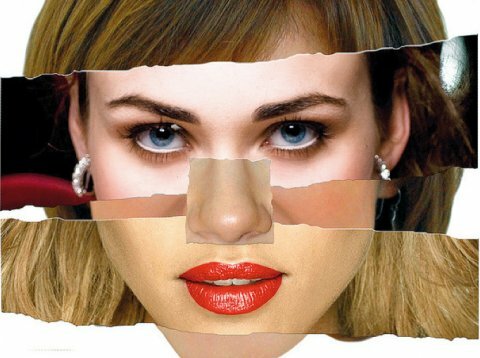 Studies have shown that physical appearance has an impact on your pay check. That’s the cultural context. Now, back to the discussion of “luck”. Luck is not a one-time event. For instance, if you win the lottery, you can very well be lucky. 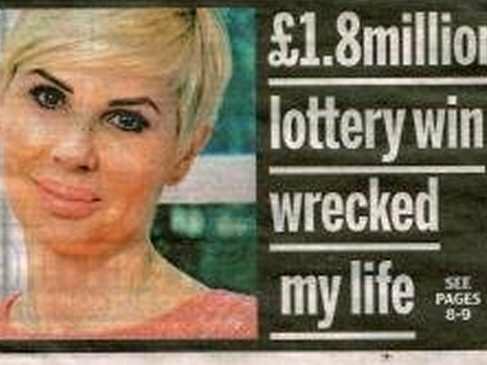 However, for most lottery winners, it actually brought more harm than good. Rather, luck is used to describe a series of events over a period of time, sometimes lasting for several years. Luck has many aspects. It includes money, wealth, health, relationships, and many others. You can be lucky in one aspect but not the other. Luck is not the same for everyone. Some people are lucky in terms of love, while others in terms of career. Luck usually comes and goes. The timing of it can often be seen in the calculations of your BaZi or Zi Wei Dou Shu (Emperor’s Stargate). This is also the reason why luck is different for everyone. Suggested: Discover when your luck comes and goes with a Bazi reading. Learn more. With that in mind, let me give you some examples of what I think luck is. The stories that follow are open to interpretation, so share your thoughts with me by commenting below. In general, good luck means many aspects of your life are happening the way you want. A better way to describe it is “smooth sailing”, where there are simply no problems or obstacles that are complicating your life. And even if you encounter small problems, they are quickly resolved without escalating. Money and Wealth: Generally speaking, money or wealth luck is associated with how much money a person can earn. However, it is entirely separate from how much money or wealth a person can hold in his pockets (or bank account). Relationships: Luck in relationships can be further broken down. It includes finding love, marriage, professional connections, and ability to meet people that will help you. Health: Even though your daily routine and what you eat has the biggest effect on your health, this aspect of luck determines how frequently you get sick and its duration. Being healthy and energetic, by itself, can be considered good luck. A boy was playing in the playground. He rubbed his knee somewhere and got an infection. The infected knee area looked like a zit, and the mother took him to the doctor, who diagnosed the condition as a simple infection. Medications were given and they returned home. However, the medications did not help. The mother, after examining her son’s knee, decided to take matters into her own hands. In an attempt to pop what looked like a zit, a snail actually popped out. The boy can be said to have some “health luck” (or a determined mother) that helped resolve what could’ve been multiple doctor visits, countless misdiagnosis, and a prolonged infection. Here’s another example. This is a story of someone I knew for quite some time. A young professional in Fremont, California, had been working at a company for almost four years. He had been at the same job ever since he graduated from college. The pay was meager, and he couldn’t afford to move out of his parent’s home. On top of these, he didn’t like that job at all. His friend, after finding a new job in southern California, asked him to move south to join him at this new company. 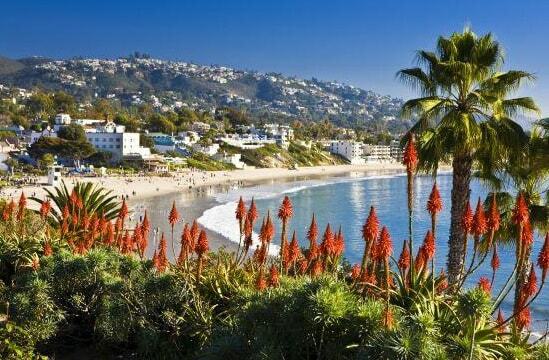 He agreed to take the job and proceeded to move to southern California. His new job had better pay, was more challenging, and had room to grow. He made new friends and got along with co-workers. As of now, he has been at that job for about three years. During this period, he got married, met new friends, and was promoted. He just recently bought a house and will be starting a family soon. This is a classic example of a big change in overall “luck”. After he decided to make the move, his luck in terms of career, money, and relationship improved significantly. Contrary to good luck, having bad luck is when there are many events complicating your life. For instance, right when you’re about to get that promotion at work, unforeseen events required you to relocate to another area, forcing you to give up on that promotion. Or, right when an international business agreement is about to be inked on paper, the political climate took a sudden dive, and you are no longer able to do business together. Money and Wealth: Though your income level have not decreased, unforeseen and necessary expenses kept eating into your income and savings. Relationship: Your friends may be getting you into trouble without intention. Worse, you may be making new and “fake” friends whose ulterior motive is to drag you down for their own personal benefit. Health: You may be getting sick more frequently. And when you visit your doctor, he may have misdiagnosed your sickness and provided the wrong treatment, thus prolonging your sickness. Here are some real life examples of bad luck that has happened to those that are close to me. Again, these interpretations are open for discussion, and you can share your thoughts by commenting below. A married couple with two children, one in pre-school and one in middle-school, had a dear friend that needed help. The friend just recently lost her job, and she was experiencing financial trouble. The friend constantly borrowed cash from the family for more than six months, and the family did all they can to help their dear friend. When the family started to experience financial troubles, the friend had no ability to pay them back. The married couple was fighting almost every single night over the decision to borrow money to the friend. At some point, divorce seemed imminent. But fortunately, in the end, the family overcame and pulled through those hard times. An ambitious and talented young man decided to open a car wash in southern California to live his dreams as a business owner. He had been preparing and contemplating about this for years, and on that one year, he finally decided to act. All preparations were set, and the car wash opened successfully without any mishaps. However, the months that followed were one of the rainiest season experienced in southern California. And for those that don’t know much about southern California, the average amount of rainfall is about 14 inches per year, a little less than the total rainfall of one hurricane or typhoon. Typical weather in southern California, all year round. Because of the unforeseen rain, the car wash did not generate enough sales to continue operations. The business had to close down in less than a year. By now, you should have a good idea of what luck is. The earlier examples you saw about “luck” has little to do with feng shui. They are more about a person’s luck, which differs from every individual. Usually, a person would experience ups and downs in luck throughout his life. The time and duration of the different aspects of your luck can usually be found in your BaZi or Zi Wei Dou Shu calculations (Emperor’s Stargate). If you go to an expert, they can sometimes tell you what types of luck are coming in the following years. In a sense, the types of luck that are coming to your life is a pre-determined. However, you have the ability to improve your luck. And one way to do so, which is under your control, is by improving your home’s feng shui. In short, feng shui has the ability to influence your luck in both good and bad ways. Feng shui has the ability to boost your luck. For instance, if you had the luck to earn one million dollars when you were age 32, good feng shui can amplify your luck so you make two million instead of one. On the flip side, bad feng shui decreases your luck, which may result in you earning half a million instead of one. Feng shui can trigger your luck at an earlier time. Using the same example from earlier, good feng shui can enable you to make half a million when you’re age 31 and the remaining at age 32. On the flip side, bad feng shui may delay your luck, or worse, completely block it out of your life. Luck comes in unexpected ways, and feng shui has the ability to influence your luck. Image source: The Daily Mail. One thing I want to be clear. Though feng shui has the ability to influence your luck, its effect is usually not immediate. With that said, do not expect placing a water feature in your wealth area to give you a raise or promotion at work the next day. Again, let me be clear. Feng shui is not magic. Nor does it perform miracles. Luck is used to describe how a series of events unfold. It is used to describe a life with less headaches, distractions, and worries. In the journey of life, good luck can be described as “smooth sailing”, whereas bad luck is similar to sailing through a storm with the possibility of crashing your ship. Feng shui has the ability to improve your luck or bring luck to you at an earlier time. As opposed to fate, feng shui is (often times) completely under your control. How you use it totally depends on you. What are your thoughts about luck? How would you interpret the stories mentioned above? Comment below and share your thoughts. I would love to hear them! Good article Victor, seeing it from a cultural perspective is a good idea. Thanks Howard! I’d sure appreciate if you can add some of your perspectives to it. Maybe how the word was abused? Hi Victor, Luck is “Yun” or “Yun Qi” 運氣 in Chinese, it literally means “the Qi of cycles of time” and it can be good or bad, depending on the way we handle the rise and fall of things over time. 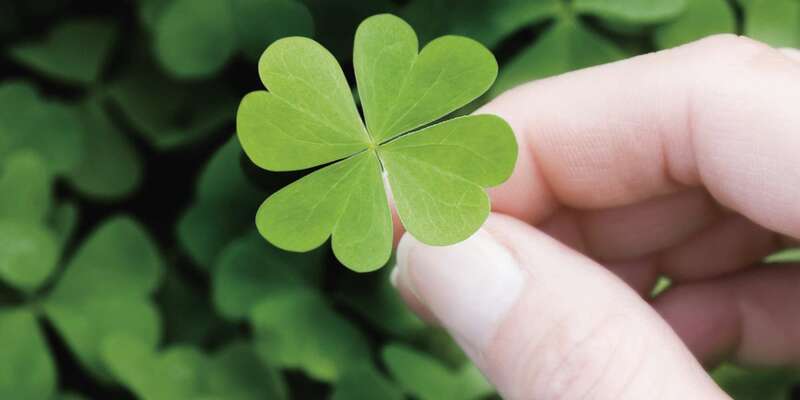 When translated as “luck”, it has a connotation that it is beyond our control, which is not quite correct, because although there are things we have no control over but there are also things we can avoid or take advantage of. To me it is a language issue and it could lead to misunderstanding and abuse, sometimes I think it is better just to keep the Chinese term, like “Qi” and “Feng Shui” and not trying to translate it into another language. I agree, this translation issue makes it hard to convey the proper meaning. Thanks for the insight, Howard! Yep. I hope more people thinks like you! Hey Kopitiam. If you were asking me, I don’t have the right answers for those two questions. But this I can tell you – feng shui has evolved much from a study on how to select the best places to build cities. It is now a study with the main purpose to benefit the occupant of a house. Some feng shui rules out there that I’ve heard, sad to say, is quite rubbish. Which is really why I created this blog. I’d like to use today’s science and experiences to challenge, dispel, or reinforce some of its rules. Hey Victor, if you are trying to clarify or define the meaning of luck, keep trying because like what H Choy and yourself have admitted, the meaning is always lost in translation due to language issue and may I also add different cultural background. I heard a very confusing I-Ching divination pertinent to the meaning of being lucky and unlucky from an old master. The spring hexagram eleven with earth sitting on heaven gives the image of heaven showering all blessings on earth. This simply means peace, happiness and prosperity. Spring is also the awakening and its chi is said to promise sunshine and plenty. Well my friend, here lies the confusion. To a newly married couple this is extremely auspicious and to someone whose father is suffering from terminal sickness this also means that the father will get well soon. However the old master said “don’t be too happy” as it can also mean that the father will be buried soon as the image is earth on top and father represented by heaven at the bottom. A marriage relationship between two self elements must have strong support to withstand the test of times. Unfortunately this is seldom the case because finding the right relationship with the wisdom from bazi is not only not easy but also very confusing and time consuming and is often replaced by looks, status and most important of all money. We can also argue that in this hypothetical case the married couple was deceived by hexagon eleven. Like what you said the real meaning of being lucky and unlucky is always lost in interpretations and according to Choy, a language issue. Well, my friend you can keep trying to till your world stop spinning and I guarantee you will not succeed in clarifying and/or defining the true meaning. Why think so much ? Better enjoy life yourself and do let “Whatever Will Be Will Be” – a very beautiful song by Doris Day in 1956. Hey Kopitiam. Thanks for your Bazi example! What I’m trying to accomplish with this post is simply to manage some expectations, especially when people are being sold to or are buying on the premise of “luck”. And BTW, I love how you think – enjoy life and let it be! No but would like to know. Hey Maria, did you get a chance to read the article? Let me know what you think!